Mardi Gras, or Fat Tuesday, refers to the events during Carnival season beginning after the Epiphany and culminating the day before Ash Wednesday. Historically it refers to the practice of eating particularly rich and fatty food before the ritual fasting of Lent. Today, Mardi Gras is synonymous with alcohol binges and New Orleans, but it is celebrated all over the world from France to Brazil. The Caribbean celebrates their Mardi Gras with massive carnivals and a particular vigour that makes it much more fun than New Orleans for the celebration. Haiti plays host to one of the largest pre-Lenten carnivals in the Caribbean even after numerous trials and tribulations that the country has faced over the years. While the festive celebration spans many cities in Haiti, with some hosting their own separate celebrations, the main affair happens in Port-au-Prince. Visitors can expect everyone in costumes, parades with hundreds of unique floats, craft stands, so much food everywhere in the city and popular Kompa bands playing throughout. 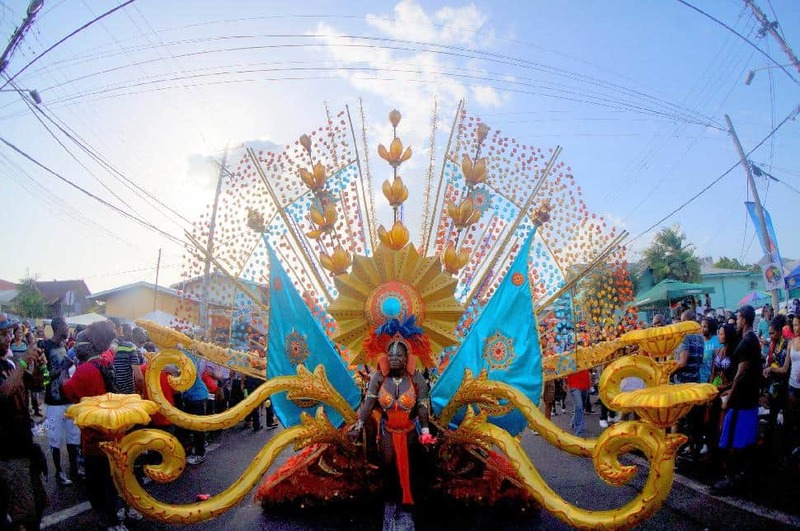 Like other Caribbean Carnival celebrations, Defile Kanaval was first brought to Haiti by European settlers before it melded with local traditions and religion to create this fantastic party. The last day of the Defile Kanaval is celebrated on Fat, or Shove, Tuesday where the party turns the dial up to eleven well before the sun comes up. Visitors on Fat Tuesday are likely to be woken up by the parade floats that host their own sound systems or revellers yelling in the streets. Of course, with music being central to this Haitian celebration, this is when the biggest concerts are held with famous Kompa bands like T-Vice, Djakout #1 and Sweet Mickey performing. The Carnival celebration in the Dominican Republic is thought to be invented by American slave owners in the region as a way for slaves to ‘get the wild’ out of their system. As the legend goes, eventually the slave owners too wanted to join in on the event that looked pretty fun so they added their own Christian tones to it. Today, the rigid religious overtones have gone away as the country celebrates to festive splendour. 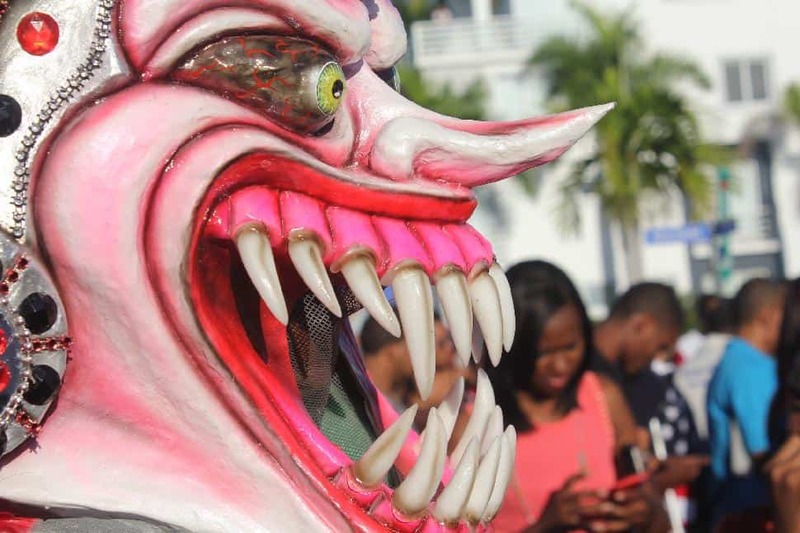 The Dominican carnival is seen as a time when the world is metaphorically upside down. The Devil is seen as ruling the world, men dress as women and livestock dominates the ranchers. This is not to say that they are devil worshippers, it is merely satire for the festival. Regardless, the whole idea makes for one of the most eccentric celebrations in the Caribbean. While the celebration during Fat Tuesday is as raucous as any day during the February-long festival, the climax of the activities actually happens several days later on February 28th, the Dominican Republic’s Independence Day. This is truly a place to celebrate Mardi Gras for people that don’t want the celebration to end. Visitors can expect to see a number of costumed characters from lore running around and to be lightly beaten by the Vejiga sticks they carry. However, most revellers are too soused or happy to really care about a light beating now and then. On the oft-forgotten island of Curacao, they host one of the longest carnival celebrations in the Caribbean. Starting right after Christmas, this celebration spans through January until Ash Wednesday in February. While it may be the longest, the celebration takes a couple of weeks to fully wind up. It starts with a light festival atmosphere, some music and generous amounts of food as well as crowning Kings and Queens in the children and teenager categories. In February comes the costumes and the parades, by Mardi Gras, each and every local and visitors is in an absolute tizzy when they see the celebration end with massive feasts, concerts and the Grand Farewell Parade. Fat Tuesday also marks the end of the unique four day Tumba competition that adults and schoolchildren alike spend months practicing for in hopes to take home the grand prize. The Trinidad and Tobago Carnival is perhaps the biggest and best street party in all of the Caribbean. Since the 18th century, the locals have used the carnival to part mock and part imitate the pre-Lenten traditions that French plantation owners brought to the islands. After the abolition of slavery, the party only got wilder. Today, visitors can expect an absolute eruption of energy, bright colours and music that bring the streets to life and are planned months in advance. The food and alcohol flow freely from establishments and street carts set up every couple of meters. Visitors are entertained by many events such as music competitions, sport games and costume competitions, visitors will have a difficult time choosing what to see next. The biggest day of the celebration, of course, is it’s last on Fat Tuesday when the King and Queen of the carnival are crowned and everything goes out with a bang. Visitors are sure to be overwhelmed by the costumers and the loud music at all hours of the day, but the revelry is unparalleled by any other celebration leading up to Ash Wednesday. 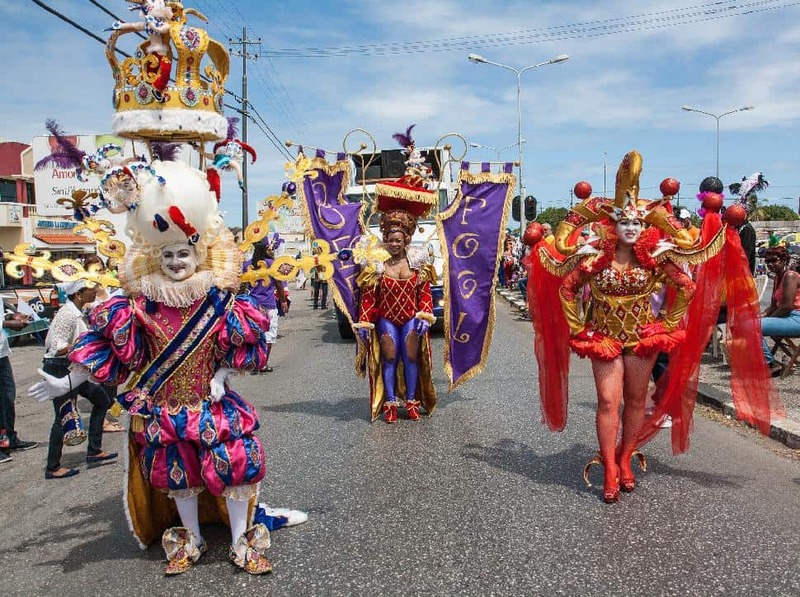 Have you ever celebrated Mardi Gras in the Caribbean? An event that is tied to Lent, for many Mardi Gras is also a celebration of the end of winter and the coming of spring.